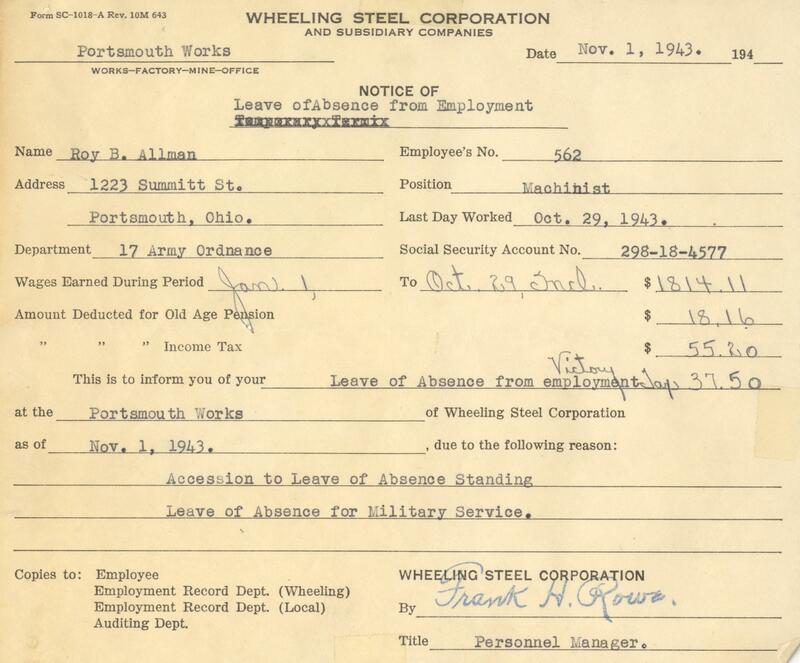 2 page aged type writer forms from wheelign Steel; Portsmouth Works for the military leave of Roy. B. Allman, signed by Frank H. Rowe. Unknown, “Wheeling Steel Corporation: Notice of Leave of Absence - Roy B. Allman,” Local History Digital Collection, accessed April 22, 2019, https://www.yourppl.org/history/items/show/20684.